Dove and the World Association are uniquely placed to empower a generation with the body confidence and freedom to be themselves. Dove is a leading personal care brand with a long-standing commitment to improving the body confidence and self-esteem of women. The Dove Self-Esteem Project has been developed to make real change in the way girls – as the next generation of women – perceive and embrace beauty, raising their self-esteem to help them realise their full potential in life. The project has carried out extensive research into self-esteem and has already reached 13 million young people with self-esteem education. 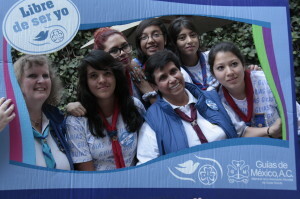 What is the World Association of Girl Guides and Girl Scouts? With ten million members across 145 countries, the World Association is the largest voluntary movement dedicated to girls and young women. Our mission is to enable girls and young women to develop their fullest potential as responsible citizens of the world. Through our Member Organizations and by working directly with young people, we deliver high-quality non-formal education and international opportunities that provide dynamic, values-based training in life skills, leadership and citizenship. 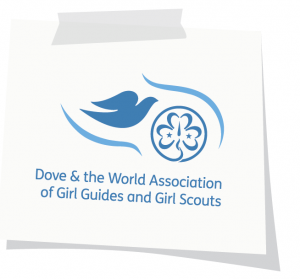 This exciting partnership brings together the Dove Self-Esteem Project’s knowledge and experience of improving girls’ body confidence and self-esteem, and the non-formal education expertise and broad worldwide membership of the World Association. We are working together to help realise our vision of a world free from appearance-related anxiety for girls and aim to reach 3.5 million girls with body confidence and self-esteem education by March 2016. Dove and a number of national Girl Guide and Girl Scout organisations have already been working together for over a decade to help build girls’ self-esteem. This project takes this fruitful and positive relationship to a global level. Free Being Me is available for all countries where the World Association has a Member Organization, in a variety of languages, and we encourage everyone to take part. In some countries, there are additional activities taking place, including training and versions of Free Being Me adapted especially for those countries.